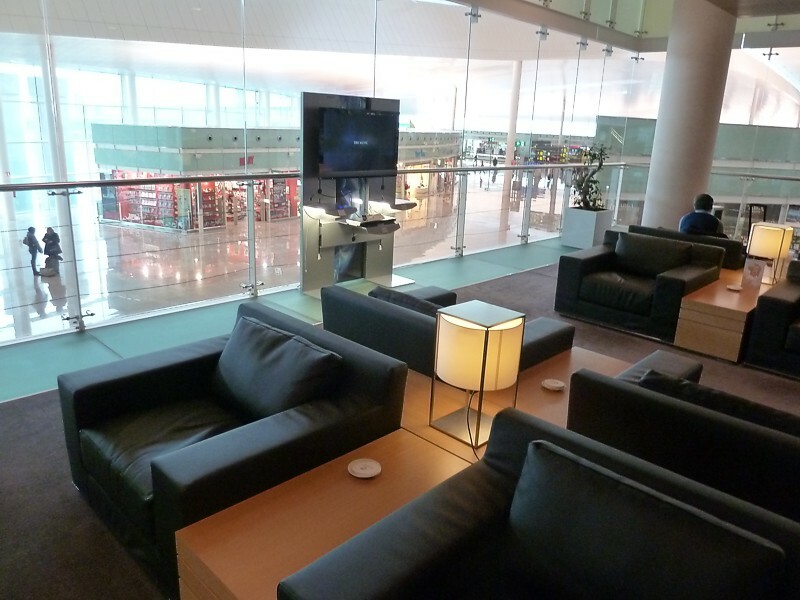 The non-Schengen lounge at Barcelona Airport has a huge plus over its Schengen counterpart - it has a pool room, cinema, a better bar, and even a golf driving range. 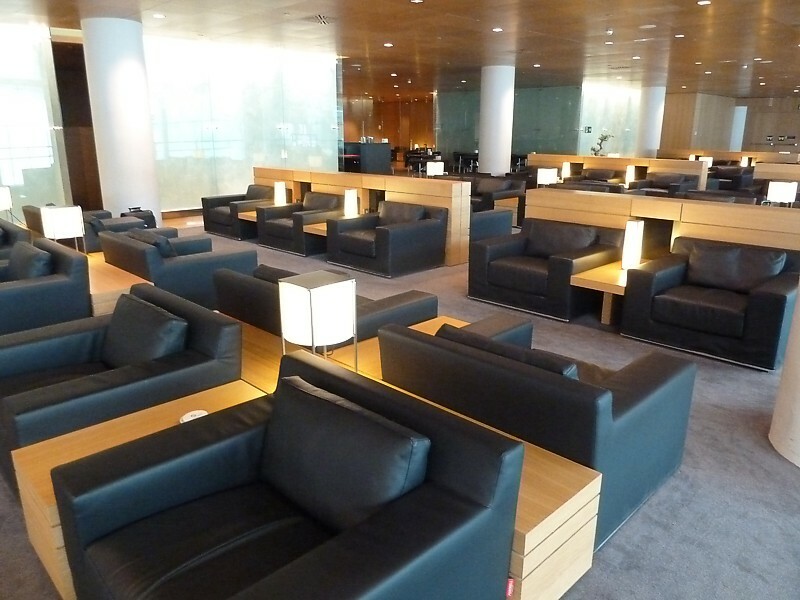 The Sala Miró Lounge is designed for flights out of the Schengen area (Inter-Europe to the UK, and all other International flights). In a lovely open room looking down on the main shopping centre with a sleeping compartment in the middle. The chairs around the sides are lovely deep squashy leather armchairs, and have power sockets (euro sockets only) in the tables between the chairs.